Portoroz hosts the 13th annual HEFAT Conference. In order to help planning the leisure time, we have created a tailor-made schedule that can help exploring Slovenia while in Portoroz. As you will be able to see bellow, the tours are spread throughout the period of the Conference and will depart as scheduled. We take the bookings in advance via our web page. Please send us your request, our team will look into it in order to process your booking. If you cannot manage to reserve your spot do not worry. During the conference, the organisers will have a desk, where you can ask for the availability. We decided to offer a walking tour of Piran on both days in the evening. Your guide will meet you at a given meeting point within the resort and walk with you to Piran, where you will be taken on a private walking tour of 60 minutes. The return way will be on your own. Ljubljana Walking tour – a trip to the Capital of Slovenia. Your guide will introduce you to the Slovenian heritage and take you around the city centre. Free time will be given to explore on your own. Drive each way is approx 90 minutes. Slovenian Coast & Farmer’s Market (Our Recommendation) – a tour to the coastal region of Slovenia, where the final stop is in a local village, where the local families introduce themselves with local delicacies. In exchange for coupons you will be able to taste some of the delicious wine, cakes and other seasonal specialities. 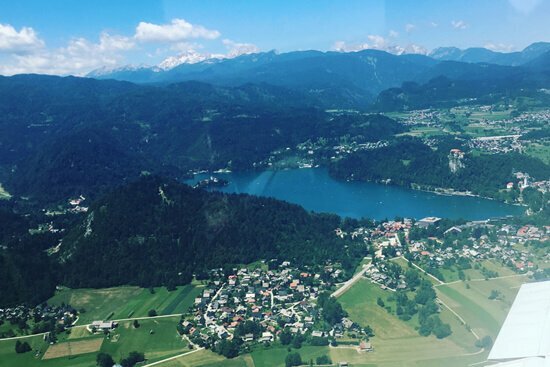 Best Of Slovenia – a full day tour to Lake Bled, where the guests can enjoy free time. Afterword’s the tour makes a stop at the Slovenian Capital of Ljubljana for a walking tour and some free time, before returning to Portoroz. In one tour, you will visit two of the most recognisable Slovenian destinations worldwide. Lipizzaner Horses – a beautiful tour in the Karst region to visit the white Lipizzaner horses. Upon arrival to the stables, you will follow the local guide for a guided tour, after which you will enjoy the horse show. Last leg of the journey will be the scenic drive back to the Hotel. We offer the tour to the world-famous Postojna Cave and Predjama Castle for a photo stop. If the you do not fancy high temperatures, this is a perfect tour where you will enjoy the tour of the cave at a constant 10 degrees Celsius throughout the year. The Castle, is a site for its own, as it is built into the cliff. Based on individual booking, we can provide a Salt SPA tour, starting directly form the resort. You captain will transfer you with a high-speed boat to the spa. Here you can enjoy either a 2 hour or 4 hours stay, before returning back to the resort.